This unique and charming home has a lot to offer and is close to many shopping destinations and major highways! 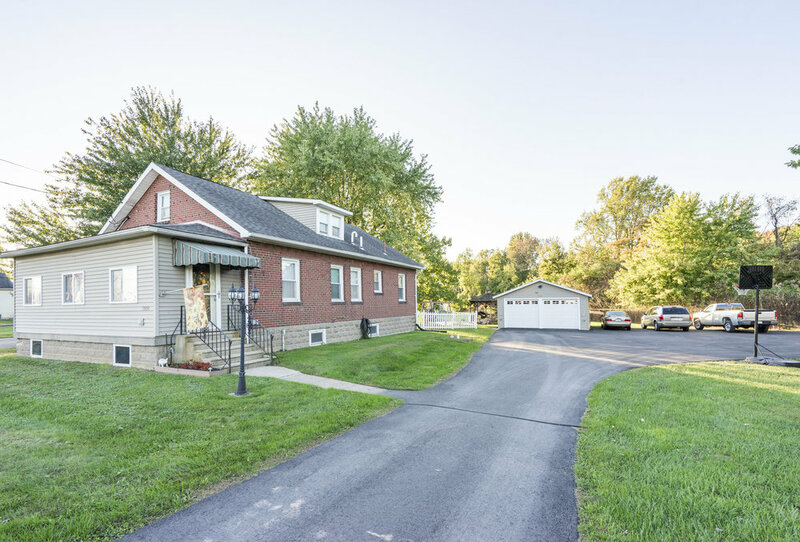 This home features an enclosed porch/bonus room with heat and air conditioning. Next is a cozy Living Room and Dining Room with beautiful hardwood floors. The kitchen boasts 42 inch oak cabinets, dishwasher, garbage disposal and an ample amount of counter space. The large laundry/mudroom exits to the backyard. The Master Bedroom is located on the 1st floor and has an updated Master Bathroom. Also on the 1st floor is the 2nd Bedroom along with an updated Hall Bathroom. The 2nd floor as two additional Bedrooms with new carpeting, fresh paint and another updated Hall Bathroom. This home also has a full dry basement with French Drain and 2-sump pumps with battery back-up. The backyard includes a gazebo and above ground pool. Private parking for 10 cars, a 2-car detached garage and .83 acres makes this home a dream for any family. The home is zone as Light Industrial to give the owner a chance to run a business out of their home! Sellers are motivated and ready for your offers!